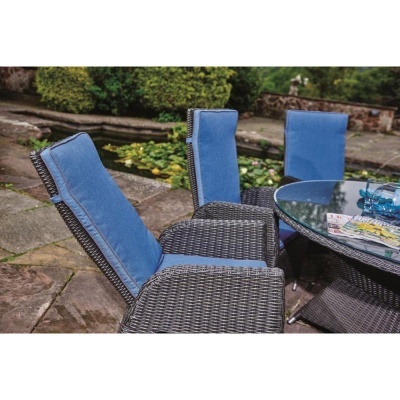 Harrow Round 6 Seater Full Weave Garden Table Dining Set from the quality Supremo Range (previously Bellagio) is supplied with a 150cm durable hard-wearing glass table top and lazy susan, surrounded by six Harrow reclining chairs with fitted denim blue cushions. 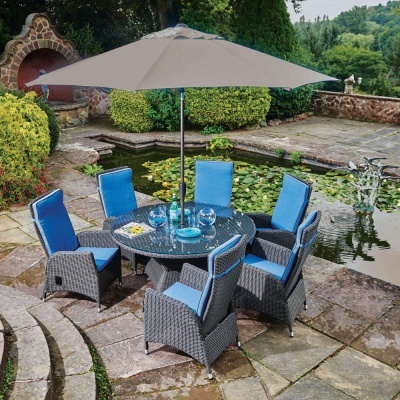 Set includes a high quality Riviera 3 metre deluxe crank function Parasol in Taupe design, supported by a brown sturdy parasol base. 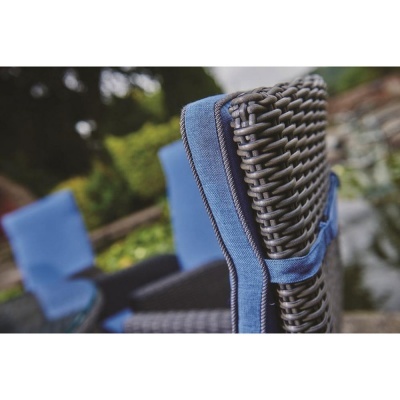 Pre-assembled weatherproof recliner chairs in Coffee Brown weave design are all fitted with blue denim comfort fit cushions. 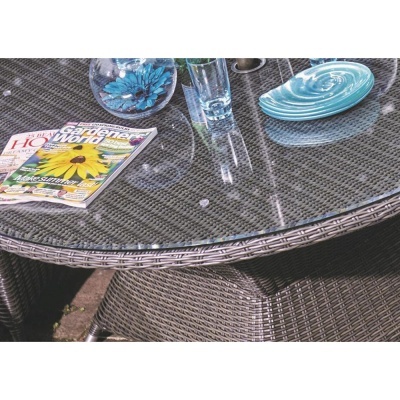 The Supremo Harrow Resin Weave collection has a modern and innovative look that appeals to all as a centrepiece dining experience for long outdoor Summer nights on the patio, balcony or decking.